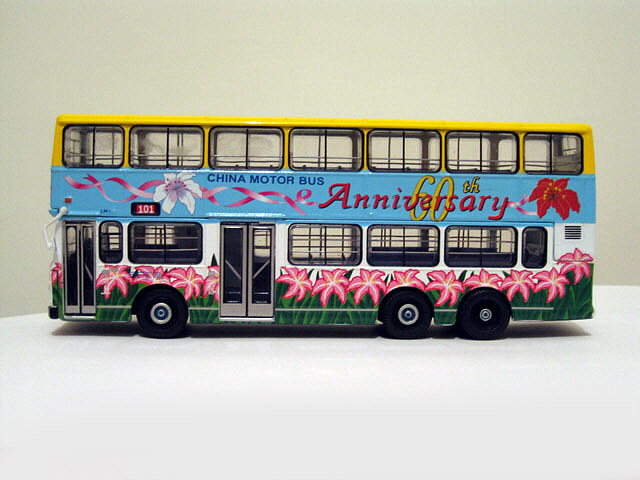 The model - this model was announced unexpectedly on 31st July 2005 and was released in Hong Kong on 14th August. 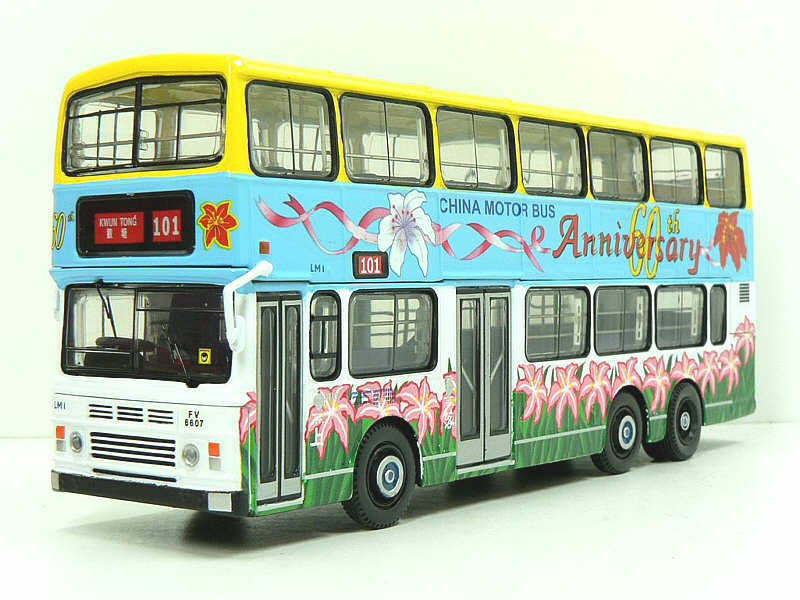 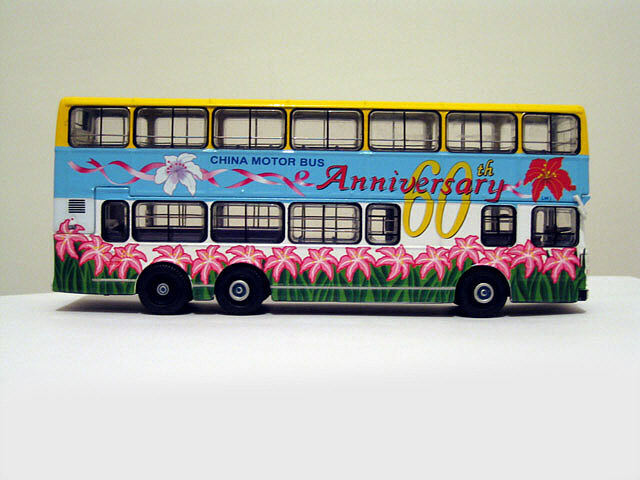 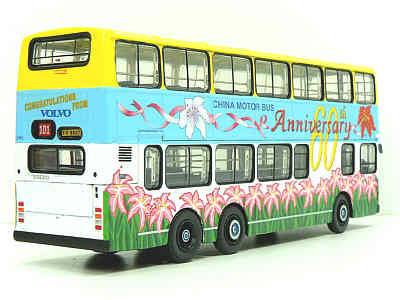 It carries a special China Motor Bus 60th anniversary livery. 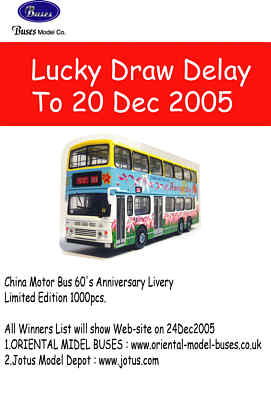 I am reliably informed that there will be a lucky draw, using the certificate no. 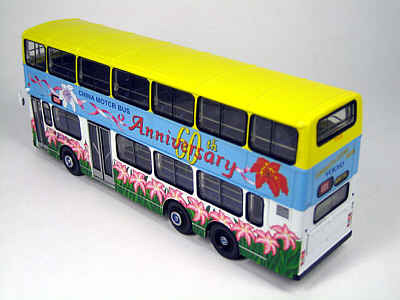 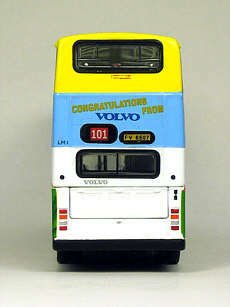 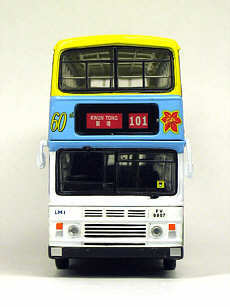 of this model, the prize being a special version bus model limited to just 30 pieces. Details of this prize model can be found here. The bus - LM1 was one of a batch of ten - CMB's last non-air conditioned buses. These ten vehicles entered service during December 1993. 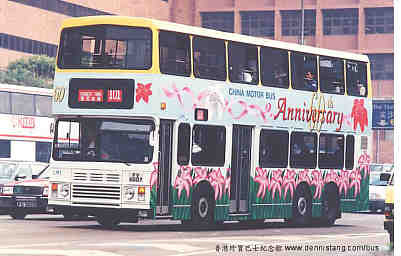 All ten vehicles were transferred to New World First Bus in September 1998, however, as part of that Company's policy of withdrawal of non air-con buses, the whole batch was withdrawn early in 2000. 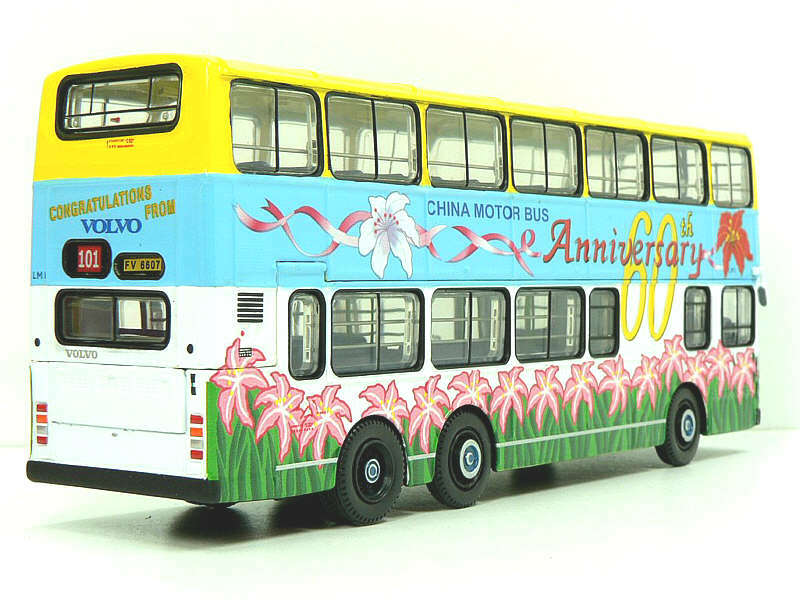 In July 2000, the batch arrived back in the UK, having been completely refurbished, repainted and converted to single door, for operation by First PMT. 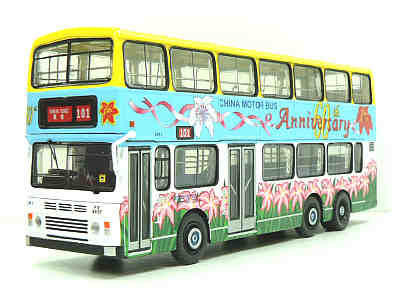 They were subsequently transferred to First Manchester, operating mainly on route 17 from Manchester Arndale Centre to Rochdale.